UPDATED Some Freesat viewers have again experienced a loss of ITV HD on channel 119, and the loss of scheduled recordings. 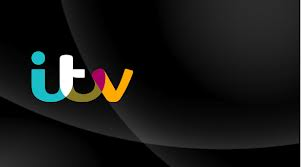 Viewers in some regions lost ITV HD earlier on Thursday, in a repeat of the problems witnessed on 27th February after ITV HD changed satellite transponders. Since the transponder change, some Sky viewers reported losing the channel and a bug affecting Panasonic Freesat receivers stopped some viewers from watching the channel. Following the most recent reception problems, viewers who have lost ITV HD will need to rescan their satellite receiver. Any lost scheduled recordings will need to be set up again. ITV HD is available on Freesat in England, Wales and the Scottish Borders. Two regions are available: London or Granada. The addition of Central and Meridian regions in HD are in the pipeline - these regions are already available on Sky. STV HD, meanwhile, will officially launch on Sky and Freesat in April for viewers in Central and Northern Scotland. Test transmissions are expected in advance of the launch. There have been no changes as yet to the UTV HD transponder position. This is expected to change in the coming weeks, as further changes to the "Channel 3" stations on satellite continue.